It was just yesterday that Nintendo unveiled the Wii U Gamepad, but today is the big announcement. Everybody welcome the Wii U. That means Netflix and Hulu and Amazon Video and YouTube, along with the brand new form of gaming brought about by the marriage of the Wii U and the Gamepad. The Gamepad sports a pressure-sensitive touchscreen along with traditional buttons and directional pad. Nintendo also packed an NFC reader/writer and a gyroscope/accelerometer. The Wii U will support two different Gamepads. 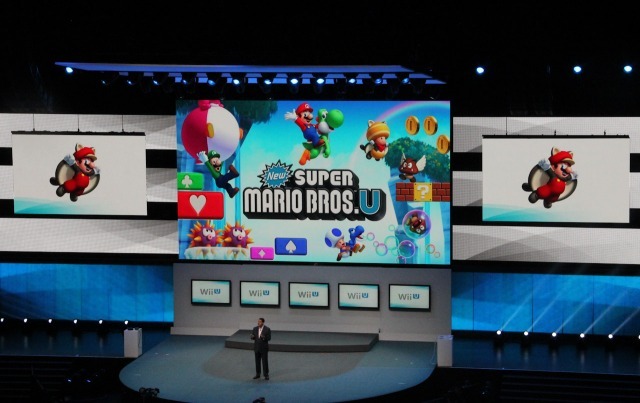 The new controller will allow for viewing multiple screens (one on the TV of course, and one on your Wii U Gamepad), which the company showed off at their keynote this morning at E3. For example, in PikMin3, the Gamepad will display a three-dimensional map, allowing for a little added perspective. The company is also introducing MiiVerse, which Nintendo refers to as a Main Street for gamers. Each of your friends will be displayed there in avatar form, and you’ll be able to share screen images, send text messages, and display your recent scores within the bubble hovering above your Mii. 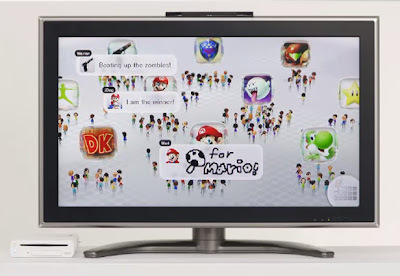 Eventually, you’ll be able to join MiiVerse from any web-enabled device including the 3DS. Nintendo promises that an ecosystem like MiiVerse will actually make you better at gaming. Especially in Super Mario Bros. U, MiiVerse will allow in-game communication with your friends to unlock hidden areas or beat an especially difficult level. Nintendo has said its developing deeper games like PikMin3 to bring back the deeper game play to consumers, in a time when light gaming has picked up steam. But the company also wants to prove that even third-party titles will be mind-blowing on the Wii U. The example used was Batman: Arkham City, Armored Edition, which was just unveiled on-stage. The Gamepad also comes into play here, allowing users to guide certain weapons with accuracy only offered by an accelerometer and gyroscope. After a barrage of trailers, Nintendo has now moved on to talk about the fitness and music genres, talking about the Wii Fit and Wii Fit Plus. 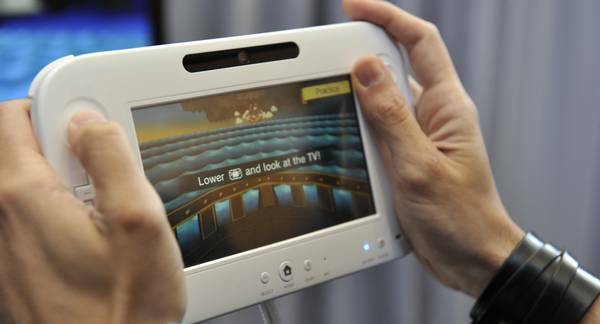 But the Gamepad aims to make WiiFitU even more accessible. In a quick trailer, the company demoed how someone can do almost everything on the Wii Fit U through the Gamepad, if for some reason the TV is already in use. The same idea holds true in the music department. For example, Nintendo’s Sing game will now display lyrics on the Gamepad itself, allowing for the singer to turn and address the group instead of staring at the TV. 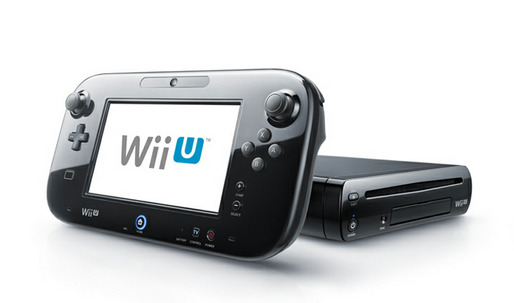 The Wii U will be available around the holidays with no pricing information at this time.